Using Facebook ads for restaurants offers a highly customizable option for marketing your restaurant to new customers with a method that is easy to use and effective. You buy Facebook ads directly through Facebook; they come with a handy set of tools and options to maximize your audience and grow your customer base. Unlike traditional ads, however, using Facebook requires a slightly different strategy to get the most benefit. With that in mind, let’s look at the beginner’s guide to using Facebook ads to grow your restaurant business. Whether you have a few ads up on Facebook already or are looking to expand your marketing enterprises, the first goal should be to set your eyes on an audience and prepare your strategy accordingly. Different audiences will respond to different ads, so you need to establish what ads go to which audience and what promotional material you will distribute. Your best strategy for each audience may vary – regulars, for example, will more likely respond positively to new menu items or promotional offers, discounts, and coupons. What’s neat about Facebook ads, though, is that you can customize your ad campaign for each audience. If you already have a marketing list – emails especially – you can upload that to Facebook and set that as a specific customizable audience. This way, you can be sure a regular customer won’t see an ad targeting someone who’s never heard of you. When targeting new customers, your primary goal is to inform them that your restaurant exists in the first place. Your ad needs to target people in your area, and convey to them that your restaurant exists, is good, and nearby. They’re not going to care that your menu now has seasonal drinks if they’ve never been to your site in the first place. Facebook ads also include options to find lookalike audiences. If you’ve entered an email list already, for example, you can have Facebook generate an audience like the demographics of your existing lists. This lets you market to people like your highest potential customer base. Since restaurants are so reliant on localized markets, this also minimizes your risk of advertising to a group completely outside your potential audience. Another audience feature that makes Facebook ads for restaurants so useful is that you can turn on location services relating to your potential audience. You can, for example, limit your ad range to viewers who live in the same city as your restaurant. This can expand to include everyone living nearby, or even people traveling to the same location as your restaurant. Facebook ads for restaurants are a visual medium. Your goal from the beginning needs to be about quickly showing off your establishment, so that customers will see and be interested – even if they’re scrolling quickly past. Keep in mind that Facebook ads aren’t cheap, so get the most bang for your buck by expressing your strengths in as succinct a way as possible. One particularly useful option comes from Facebook itself – carousel ads. A carousel ad functions like a slideshow, where you can essentially combine multiple ads into one post. You can use this to establish an in-ad narrative for your restaurant – giving your company a voice that customers would not otherwise discover – or highlight particularly evocative imagery. Keep your copy relevant and succinct – really, you should rely on images and deals to do the talking more than your text. Facebook is a fast-paced platform, and you want to beat the mouse wheel when it comes to drawing in customers. Think about how few people read long text posts compared to the response a good photo can draw. There are quite a few widgets and tech add-ons that can enhance your Facebook ad campaign. Obviously, we’ve already looked at options like carousel ads and lookalike audiences, but the versatility Facebook offers its users is powerful. Facebook’s Audience Insights module is another useful tool for finding audiences. This is a data-mining tool that can identify who’s responding to which ads – allowing you to better target your audience before you launch a new ad. Insights into your target audience allow you to lower your overall risk and expand your horizons to new markets. Keep in mind that Facebook ads don’t run only on Facebook anymore. Since Facebook acquired Instagram, your ads can also appear there as well. 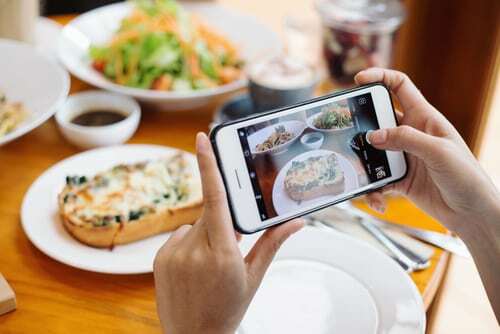 This works great with a combined social media marketing strategy – and what better website to highlight your food than Instagram? One helpful tool for improving your Facebook ads for restaurants is the Facebook ad pixel. This is a plugin that you can install onto your web pages which tracks Facebook users who browse your website – even if they don’t turn into actual customers. The main benefit here is that it gives you advanced insight into potential customers who are interested in your restaurant, even if they didn’t turn into paying customers at that moment. As we’ve touched on earlier, Facebook’s custom audience groups are the most powerful tool at your disposal when running Facebook ads for restaurants. These allow you to localize your ad campaign in a way other methods can’t. Another powerful feature is that you can exclude customers who are already regular patrons or on your mailing list. This lets you create discrete ad campaigns for regular and potential audiences. You can also deactivate ads if a customer has converted to limit the annoyance factor for your new audience. Facebook offers tools for remarketing as well to continue advertising to customers who’ve already converted. 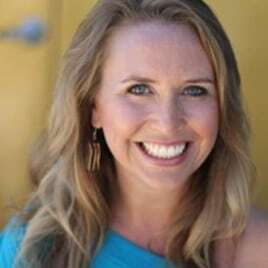 This is helpful for reminding recurring customers – especially if they haven’t signed up for email lists or promo benefits – of your restaurant while limiting intrusion thanks to Facebook’s ad design. Vizion Interactive offers powerful social media marketing services to take the burden of running an effective Facebook ad campaign off your shoulders. We’ve helped set up Facebook ads for restaurants in the past, and we can share that expertise with you. Our social media management package lets you get back to running your business while we take care of your advertising campaign.